Meander by a quaint little covered bridge on your way, and in no time at all, you’re there. Parker’s Maple Barn is a lovely, rustic breakfast/lunch restaurant in the backwoods, started as a sugar house in the ’60’s. 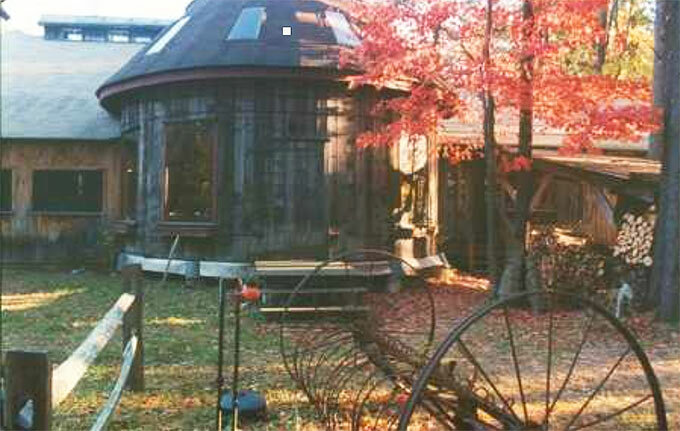 The unique dining area inside is the original 1800’s barn and silo. And time stands still. It’s that kind of place. We’ve been to Parker Maple Barn on several occasions to celebrate stellar report cards. (It’s good food that speaks loudest to my boys.) THLG will take a field trip there soon so you can check out the homemade sausage, maple syrup and maple coffee. These ribs were incredibly easy to make!!! So early this morning, I unwrapped two large racks of baby back ribs, six pounds in all. Salted ’em, cooked ’em uncovered at 350 degrees for half an hour. Pulled them out, basted them with pure maple syrup…wrapped ’em tightly in foil, cooked ’em for eleven more hours at 250 degrees. But we smelled ’em. Boy did we ever. Great anticipation on account of those baby back ribs… a mingle of roasting ribs and warm, sweet maple wafting through the house all day. Like a sugar house. Let’s just say we had quite the build-up to tonight’s dinner, eleven and a half hours cooking time in all. The rib meat was fall off the bone tender. Sweet maple glazed. And succulent. Place ribs in roasting pan and sprinkle with salt. Bake for approximately 25 minutes. 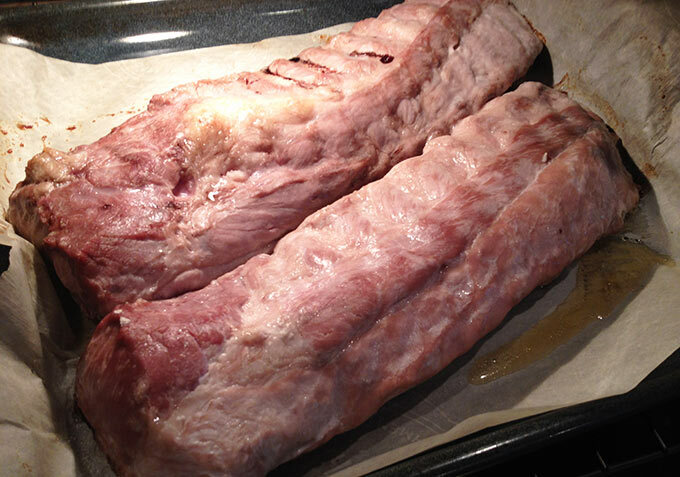 After the ribs are golden brown, remove from oven. Baste with pure maple syrup. Lower the oven temperature to 250 degrees. Tightly wrap the ribs with foil. Make sure not to put any holes in the foil in order to maintain moisture and flavor. Return to the oven for approximately ten hours. You should be able to place a fork into the meat and it should immediately fall off the bone. If there is any resistance or hardness, continue cooking in the oven for up to two hours longer. After cooking is complete, coat with another layer of maple syrup. If not serving immediately, wrap in plastic to keep moist until ready to use. To serve, cut each rack in half. This method of slow cooking Maple Glazed Baby Back Ribs assures the most tender, moist and delicious maple-flavored ribs. Cook for ten hours. If not fall off the bone tender, cook for up to an additional two hours. I cooked uncovered for 30 minutes, then 11 hours foil wrapped, a total of 11 hours and 30 minutes. I love all things maple, and have no idea how I have not tried this before! I have baby back ribs in my freezer, and now I have a plan for them when I thaw them out. Pinned! Incredible! Easy! Maple! Ribs!Win, win, win, win! Oh, my- these ribs look incredible! Can't wait to try them! I LOVE ribs as well as maple syrup! Now I have to get the ribs! Thanks! Sticky ribs, I love it! 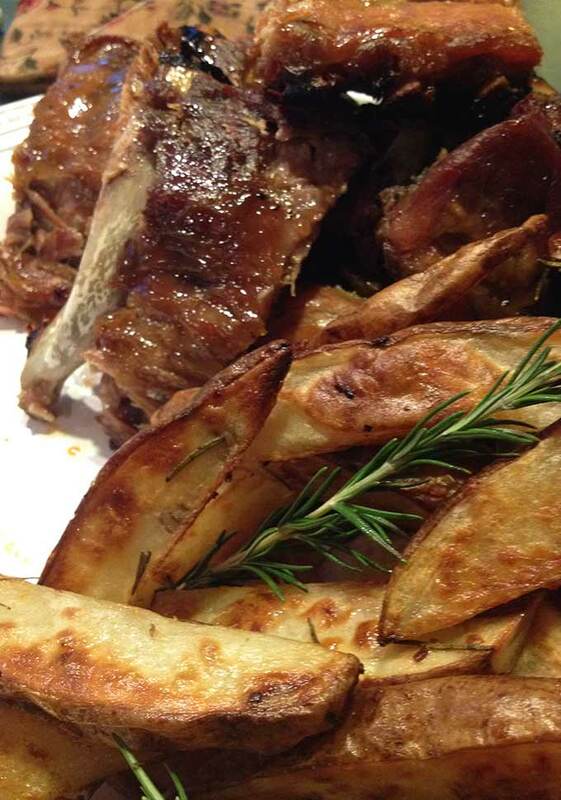 We love ribs so a must to try this recipe. These look soooo good! The pictures are very enticing! Can't wait to try them. Yum!!! Official testimonial: they were AWESOME. Tummy was happy. I might be drooling a little bit. Oh yes, lots of drooling in our house yesterday. And SMELLING it all day!!! This sounds wonderful!! I especially love the last picture...picked clean. :) Thanks for a fresh idea for an old favorite! I wish I could eat some right now! I will try this one but my boys will drive me crazy smelling them cook so long....yum! These have me drooling! I too, love all things maple and I'm a west-coaster. Oh my Allie - I can totally see how it was torture to wait for these ribs. They look absolutely fabulous and I can almost smell them through the screen. Not kidding - these are fantastic! Happy Saturday! My husband is a ribs man, and I'm a maple lover, so these ribs have to happen in our house soon! I love ribs and your maple glaze sounds fabulous! Just wanted to let you know that we have enjoyed your recipe several times since you posted it (last night, in fact!). This has been my new go-to recipe for ribs. We have shared it with friends, and it is now their go-to recipe as well. It's a winner!! My husband said these were the best ribs I have made. I started them in the oven for the half hour but then threw the ribs in a foil lined crock pot on low for 8 hours. They were falling off the bone tender when I checked them. I did baste them once about 2 hours before they were done. Mostly because my granddaughter was over and she wanted to see what I had made so she was really basting them. Hi Robyn, so glad to hear this! We love them too. What I like about this recipe is that you're really tasting the flavor of the meat, and the syrup really brings that out. Thanks for dropping by! Wow! Maple glazed ribs? Anything maple and I am sold. This one here looks scrumptious, Allie. Feel like having a full platter right away. My daughter and husband love ribs. I am sure they are gonna love this one for sure. Thanks for such a wonderful recipe. I am the kind that has to follow a recipe. About how much maple syrup do you use to baste. 1 cup or a whole bottle? H Karen, I would say somewhere around a 1/2 cup or so maybe a little more, depending on how many ribs you've got. You just want to liberally cover the ribs, but they don't need to be sitting in a pool of syrup. I really hope you love these. Wow! Only three ingredients. You can't get any easier than that. Ribs are on are next shopping list. Pinning!! Still haven't tried these incredible looking maple-glazed ribs! They look sooo good! Thanks Susie, hope you get to try them! Your description has me craving these! 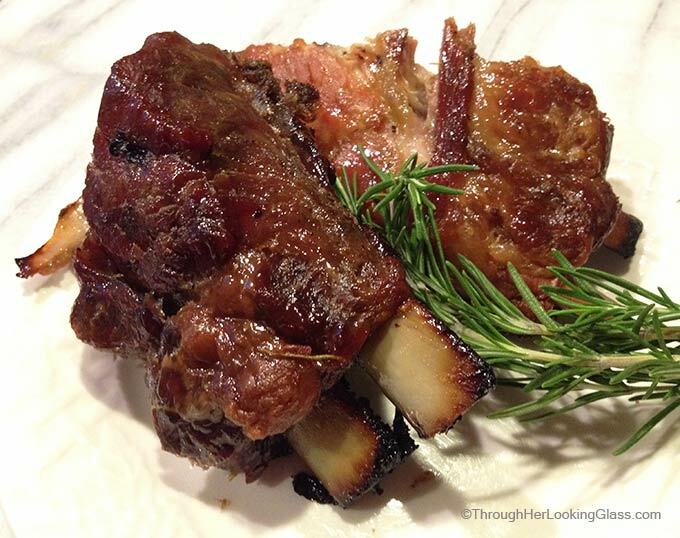 They look and sound absolutely amazing -- and I am a huge fan of slow cooking meat! This will be going on our must-try list for the summer! Although I would love, love, love to try these ribs, I doubt that I could leave them alone for 10 or 11 hours. The aromas wafting out of the kitchen would drive me stark raving mad! How did you do it? These look amazing! I can almost taste them through the screen! So - I 'm not usually a fan of ribs but gurrrrllll - these ribs make me wanna lick my screen and had I been in your home, I'm not sure how I could have been able to walk around smelling that maple and met mingling! You not only put a fantastic dinner on the table, Allie you also taught your boys the valuable life lesson of patience! Yeah! I have ribs in the freezer right now. I'll have to use this recipe for our next rib dinner. Looks delish and I bet it smells "out of this world." This sounds superb!! I particularly cherish the last picture… picked clean. ? Thanks for a crisp thought for an old top pick! I adore all things maple, and have no clue how I have not attempted this some time recently! I have child back ribs in my cooler, and now I have an arrangement for them when I defrost them out. Stuck! 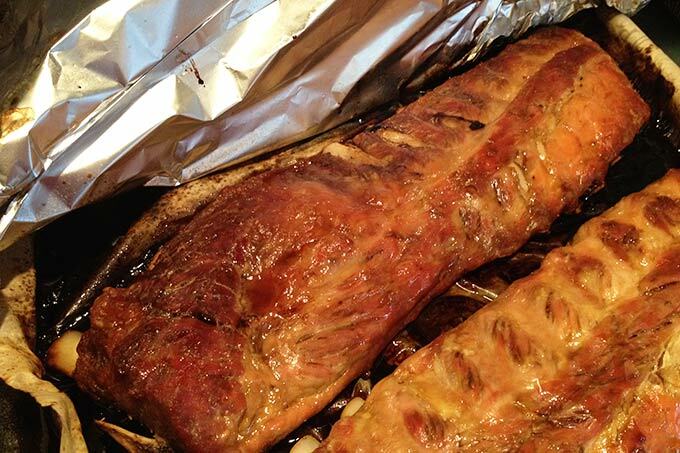 Do you put the foil wrapped ribs back on the roasting pan to cook or just put the ribs directly on the oven racks? Yes Kenya, they go back in the roasting pan to cook. Enjoy! Thank you for such a beautiful and tasty recipe. I have already prepared a rib on avshemu prescription. My family enjoyed it very much. Perfect meal. Ok best way I found to cook ribs is first pull off the skin on the back of the ribs, then place the rib ribs ends down to make a rack, s in foil after you have coated them with whatever flavor you like best. 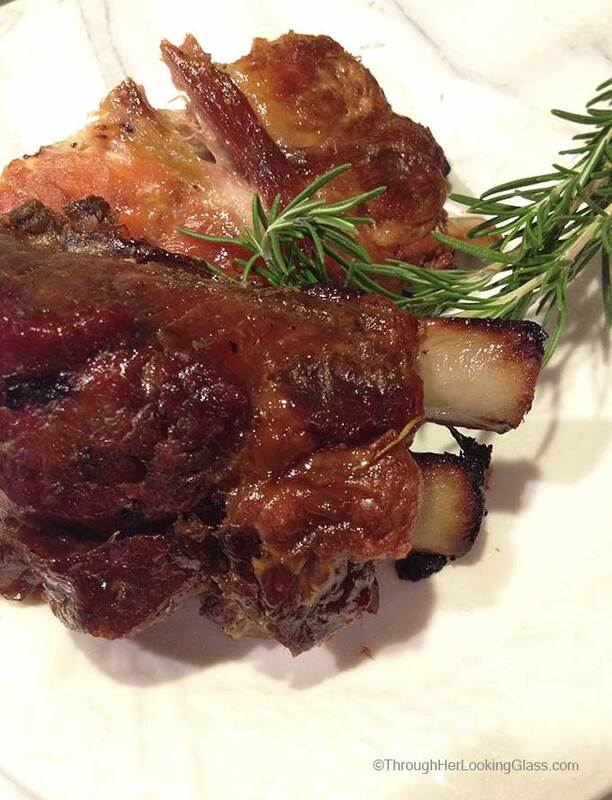 wrap the ribs tight no hole and place in oven for 6 hours at 200 degrees... at the 6 hour carefully open fol pail to expose the ribs and bruch the top with your flavor again the place under broiler to crisp up the ribs. Sounds wonderful Joe, thanks for these great tips!!! I have removed that membrane on the back of the ribs before for other recipes, I'm not sure why Parker's Maple Barn doesn't mention that in their recipe. Will have to try your method! I don't see why not, Jill. I have also wrapped these tightly in foil and baked them in the crockpot all day. Then I crisped them up for a very short time under the broiler just before serving. The meat fell off the bone. Maple syrup is amazing on ribs. I'd definitely try this with boneless ribs too. I think with bone-in you'll get a little more flavor because the bones give a lot of flavor - but I think they would still be excellent. Good luck, would love to hear how they turn out if you try it! 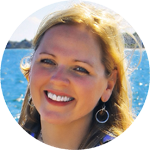 Hi Jill - Glad you tried them and enjoyed them. You're right, they are not overly maple flavored. 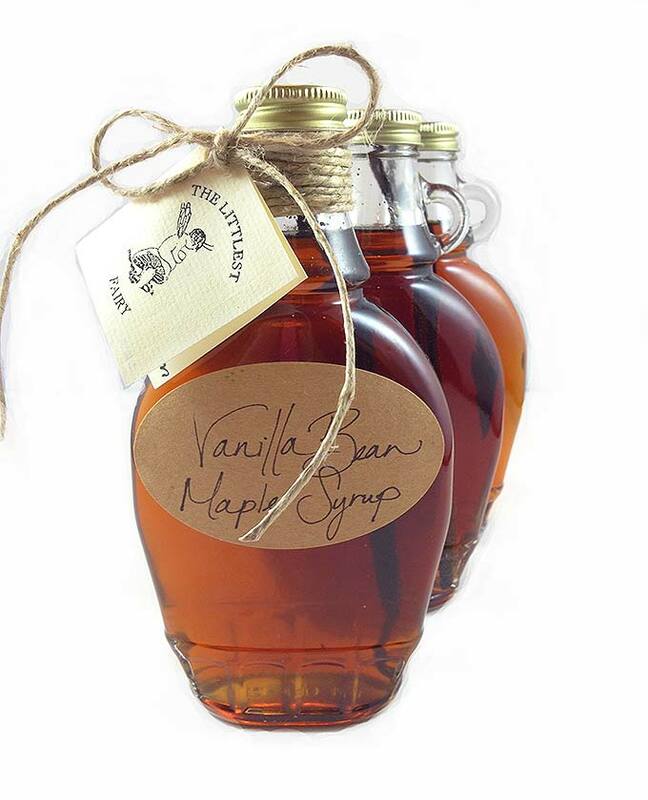 We usually drizzle them with a little extra maple syrup just before serving. So you could try that for an extra splash of maple flavor.